Home contact us the agency join the list and always be in the know! 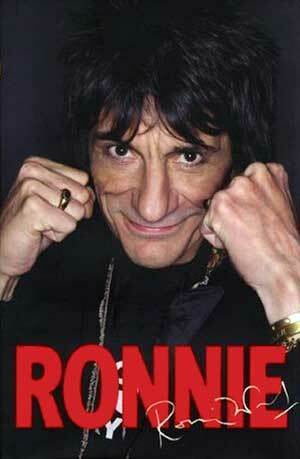 SPS Limelight Agency and Daniel Crosby remembered in Ronnie Wood's Auto Biography Ronnie. Coinciding with our NYC shows, I had an exhibition at the Pop Gallery in Greenwich Village. It went well and I was knocked out that the Big Apple loved my art. It wasn't just New York either. After meeting Muhammad Ali's agent, I was introduced to Daniel Crosby who has a serious amount of experience in the art business in the States. This man has represented the work of Warhol and Haring so I'm in good company. Daniel and I coordinated an art tour through the US with the intention of introducing my work to fine-art collectors. Hosting shows in major cities like NYC, San Francisco, L.A. and Vegas enabled us to reach collectors that had never seen it before.